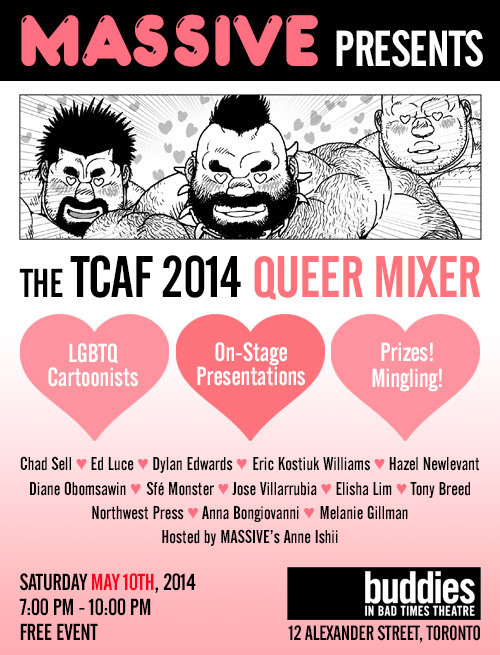 MASSIVE is hosting the TCAF 2014 Queer Mixer! Come join me and Anne Ishii at Toronto's Buddies in Bad Times Theatre next Saturday, May 10th for an introduction to some of the most exciting LGBTQ cartoonists making work today! We’ll have on-stage presentations, interviews, mingling, plus a raffle with some unique prizes - including brand new products from MASSIVE!